Technical Services Law Librarian (TSLL) is an official publication of the Technical Services Special Interest Section and the Online Bibliographic Services Special Interest Section. Access to TSLL is freely available at the TSLL website. The purpose of TSLL is to report on the news, activities, and awards of the sections and their members and to publish articles of interest and professional value in the area of technical services law librarianship. This includes coverage of developing trends in library standards and applications, emerging technologies, and administration. Technical Services Law Librarian (ISSN 0195-4857) is an official publication of the Technical Services Special Interest Section and the Online Bibliographic Services Special Interest Section of the American Association of Law Libraries. 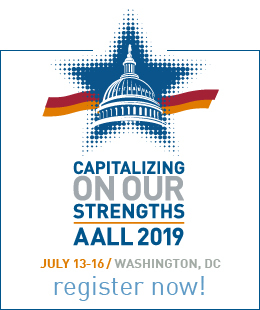 It carries reports or summaries of AALL annual meeting events and other programs of OBS-SIS and TS-SIS, acts as the vehicle of communication for SIS committee activities, awards, and announcements, as well as current awareness and short implementation reports. It also publishes regular columns and special articles on a variety of topics related to technical services law librarianship. The editorial board of TSLL consists of six standing members: two from each of the sections, the associate editor, and the editor-in-chief, who serves as chair. The past editor serves as an ex-officio member for one year after the appointment of a new editor. The section representatives on the board serve two-year, staggered appointments. If a section representative is chosen as editor-in-chief or associate editor, or becomes a columnist, a replacement representative is to be appointed promptly by the section chair. The function of the board is to provide direction and to monitor TSLL‘s adherence to approved editorial policy. The board is responsible for resolving issues concerning editorial policy and its implementation. The board appoints the editor-in-chief, the associate editor, and approves the layout editor and columnists selected by the editor-in-chief. The board approves the TSLL annual report and all revisions to this document. The section representatives on the board are responsible to their respective sections and reflect their sections’ interests and concerns about the newsletter. The editor-in-chief shall be appointed by the editorial board to serve a two-year term, with no restriction afterward on the length of time an editor-in-chief may serve. Selection shall be made from among members of the sections who have expressed an interest in the position and who have presented convincing evidence to the board that they have the skills necessary to carry out the responsibilities of editorship. The board shall maintain a current position description for the editor-in-chief, including responsibilities and qualifications. Ensures that TSLL content is consistent with editorial policy. Ensures the timely publication of TSLL according to the schedule set by the TSLL board. Recruits and appoints a layout editor. Keeps track of columnists’ original two-year term commitment, and is in contact with the columnists regarding their willingness to continue their contributions. Should a columnist resign during the year, the information is to be included in the annual report. Ensures that columnist candidates sign and return a columnist agreement form, and keeps the original signed copies on file. Edits submissions to conform to TSLL stylistic conventions and standard English usage. Maintains the stylistic conventions on the TSLL website. Works with contributors to craft final versions whenever many textual changes need to be made. Substantive changes in content are to be approved by authors prior to publication. Decides when to omit, shorten, or defer articles. Coordinates the mechanics of electronic access, standardized content format, and reliable, permanent archiving of TSLL electronic files, in consultation with the TSLL webmaster. 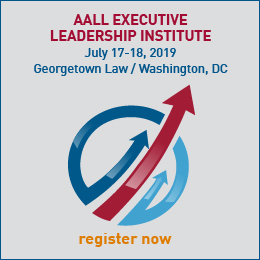 Schedules and chairs the TSLL board meeting during each AALL Annual Meeting, and reminds all board members to be present. Notifies TS-SIS and OBS-SIS incoming chairs, well in advance of the Annual Meeting, that each needs to appoint one representative to the TSLL board. Writes an annual report, in consultation with the associate editor, which is to be approved by the editorial board before the Annual Meeting. Presents oral summaries of the annual report at both sections’ business meetings at the Annual Meeting. Publishes the annual report in the first issue of TSLL after the Annual Meeting. Notifies Hein when available issues are ready to be added to HeinOnline. The associate editor shall be appointed by the editorial board to serve a two-year term, with no restriction afterward on the length of time an associate editor may serve. Selection shall be made from among those members of the sections who have expressed an interest in the position and who have presented convincing evidence to the board that they have the skills necessary to carry out the responsibilities of associate editorship. The board shall maintain a current position description for the associate editor, including responsibilities and qualifications. Proofreads all accepted submissions to TSLL. Acts in an advisory capacity to the editor-in-chief on all aspects of production, including possible policy changes before they are submitted to the editorial board for review. Possesses the knowledge and ability to perform the duties of editor-in-chief in the event that the editor-in-chief is unable to perform them. Assists in the preparation of the TSLL annual report. Chairs the Annual Meeting if the editor-in-chief is unable to attend. The layout editor is appointed by the editor-in-chief in consultation with the board, and has no restriction on the length of time a layout editor may serve. Is responsible for the layout and design of each issue of TSLL. Works closely with the other editors, and the website manager. Attends the annual TSLL editorial board meeting. The TSLL website is managed by the TS-SIS web manager, with appropriate links maintained to the OBS-SIS website. The TSLL website manager works closely with the editor-in-chief to ensure that TSLL is mounted on the website in a manner convenient for its readers, and that past issues are securely archived. Promptly uploads the latest issue of TSLL received from the layout editor upon approval by the editor-in-chief. If a corrected copy of TSLL is issued, replaces the previous version and notes the corrections in the TSLLcorrections and errata section of the webpage. Maintains and updates the columnist and TSLL staff contact listing on the webpage. Periodically verifies that the links on the TS-SIS website work. Columnists are appointed by the editor-in-chief, in consultation with the associate editor and with the approval of the editorial board, originally for a period of two years, with no restriction on the length of time a columnist may serve. Columnists shall be section members or, if not, must be granted special appointment by the editorial board. A written agreement is signed by each columnist, so that there is an understanding between the editor-in-chief and the columnist over column content, term length, possible term extensions, etc. A columnist cannot also serve as editor-in-chief or associate editor. If a columnist resigns, the editor-in-chief or associate editor may fill in, but every attempt should be made to find an interim columnist or to solicit a series of guest columns until a new columnist is appointed. Provide content that falls within the subject area of their assigned columns. Conform to style as determined by the editor-in-chief. TSLL is published in electronic format using standard platforms, protocols and mark-up languages. Any changes to existing formats must be approved by the editorial board, with changes implemented only after thorough testing on a variety of browsers. The editor-in-chief will generally follow the stylistic conventions used by Law Library Journal. TSLL stylistic conventions are maintained on the TSLL website, with updates sent to the TSLL website manager by the editor-in-chief. Questions about style, such as capitalization, hyphens, initialisms and abbreviations, should be referred to the editor-in-chief. TSLL is an official publication of TS-SIS and OBS-SIS. It is the responsibility of the chair of each section to ensure that news items relating to section activities are published in TSLL. The TS-SIS and OBS-SIS chairs are free to disseminate section news through other venues as well, such as AALL’s newsletter and listserv discussion groups. AALL signed a three year agreement with William S. Hein & Co. effective December 2, 2009, which grants Hein rights to reproduce TSLL as part of HeinOnline. This agreement automatically renews for successive one-year terms unless terminated in writing by either party to the agreement. The editorial board is responsible for periodic review of this document for necessary revisions. Sections requiring revision shall be rewritten by the editor-in-chief and the associate editor. Drafts of the revised sections shall be approved by the editorial board, with the final revision presented to the TS-SIS and OBS-SIS chairs for their executive boards’ acceptance as well. The editor-in-chief and the section chairs are responsible for announcing the publication of any newly revised and approved versions of this document.